Home > Major Surgery > What Does a Liver Transplant Involve? Having any sort of major organ transplant involves long and complicated surgery. Kidney transplants are probably the most common but heart, lung and liver transplants are now done successfully in specialised centres all over the world. The first liver transplant that resulted in the patient who received the transplanted liver surviving for a year took place in 1963 but the operation developed over the next 20 years and it was considered experimental until the mid 1980s. Someone having a liver transplant today has something like a 60% chance of living for another 15 years, which is an amazing achievement. Who Might Need Liver Transplant Surgery? People with end-stage liver disease become very ill, with jaundice, fatigue and suffer the inability to eat normally as their liver has a greatly reduced capacity to deal with metabolites. Causes of end stage liver disease include viral infections such as hepatitis, alcohol abuse and a variety of other, rarer underlying health conditions. Liver transplants are not often used to treat liver cancer, since this is very likely to spread and lead to cancers elsewhere in the body, so there would be no overall survival benefit that would justify putting someone through a liver transplant. The actual surgery involves three operations. The first is to remove the liver that is being donated from the body of the donor. This may be someone who has died as the result of an accident, but their liver is healthy and undamaged. It has to be carefully matched with potential recipients to try to avoid rejection of the organ after transplantation. The liver is removed and put into a special solution and kept very cold so that it is in good condition by the time it reaches the donor. Sometimes livers need to be transported large distances by road or air to reach the hospital where the transplant is to take place. The second operation is then performed to remove the diseased liver from the transplant patient. The donor liver is then put into place straight away and all of the major blood vessels are connected up. The whole process of the second and third operations takes about 5-6 hours. After the operation a liver transplant patient is kept in intensive care and monitored carefully for bleeding and immediate rejection of the liver. Although the match is made as well as possible, no two people are going to be a perfect match, so immunosuppressive drugs are given to allow the body of the transplant patient to accept the new liver. The dose of these drugs is reduced over time but, usually, they need to be taken for the rest of the patient’s life. Recovery takes a few months but then many people – over 80% - live for at least one year and over two thirds of them survive for 5-10 years. In the last 20 years, various trial operations have shown that it is possible for a living person to donate part of their liver and survive with relatively few adverse effects. This has opened up opportunities for parents with children that have severe liver disease to donate part of their own liver to save their child’s life.The child’s liver is removed completely and then a portion of the adult’s liver is taken away and transplanted into place. The operation is more technically difficult because not all of the major blood vessels can be removed from the adult. Some surgeons believe that it is possible to remove up to 70% of an adult liver, without putting them in danger. After the operation, the portion of the adult liver grows in the child and becomes the size of an adult liver over the next few years. 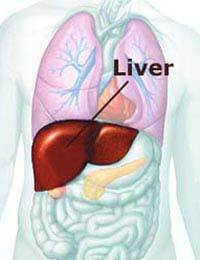 The liver of the adult also grows to compensate for the part that has been lost. A liver transplant is one of the most costly medical procedures that someone can have. The aftercare is also expensive and is lifelong. For this reason, some people think that people with alcoholic liver disease should not be given priority for liver transplants as their illness is a result of their life choices, not a result of disease, but this is highly controversial.